‘The Walking Dead’s’ Tom Payne Reveals He’s Engaged! 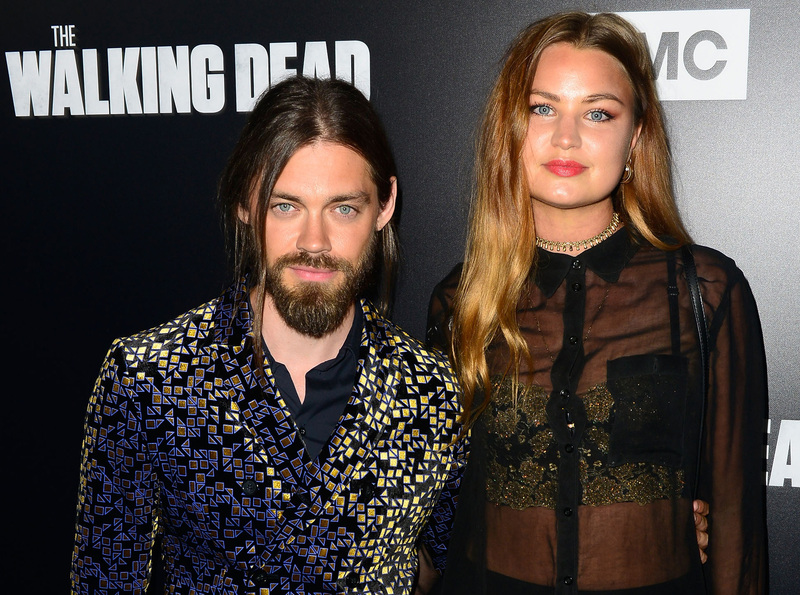 “The Walking Dead’s” Tom Payne is engaged to model and singer Jennifer Akerman. The actor revealed the news on Sunday night’s “Talking Dead,” while telling host Chris Hardwick about – SPOILER ALERT – getting the call from the AMC’s drama’s showrunner, Angela Kang, that his character was being killed off. “I got the call like, an episode before and I was texting my girlfriend, now fiancée,” Tom said, referring to Jennifer, who was in the crowd for the live episode. Thankful today for the path my life has taken up till now and all the people that have helped and supported me along the way. Especially the special lady peeking out from behind me in the photo! America has given me a lot. I’m doing my best to return the love. Happy Thanksgiving everybody! Since the story Tom was telling Chris was about learning the news his character, Jesus, was being killed in the mid-season finale, he didn’t share details about the proposal. Jennifer, younger sister of actress Malin Akerman, shared a pic on her Instagram story showing Tom backstage at “Talking Dead” on Sunday night. On Monday, she posted a pic where she’s showing off her sparkler. Over the Thanksgiving weekend, Tom, who hails from England, posted a sweet pic showing him and his ladylove high up on a hillside. “The Walking Dead,” which just introduced new villains The Whisperers (who were responsible for the death of Tom’s character) returns on Sunday, February 10 at 9/8c on AMC.